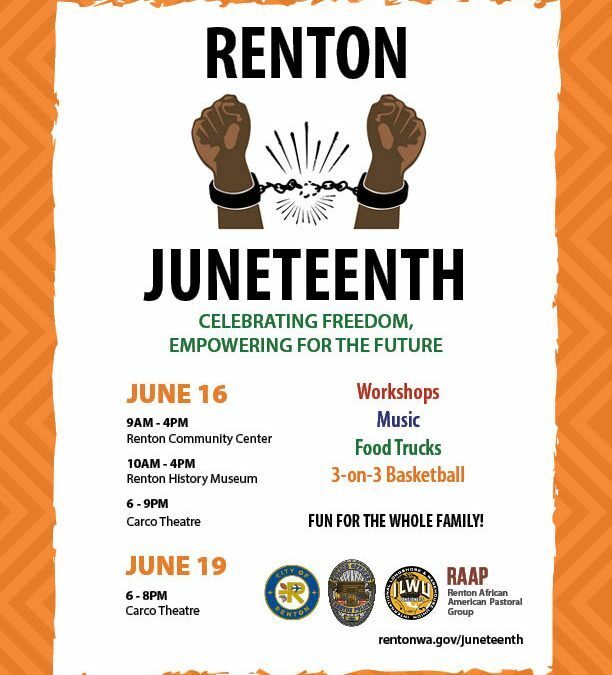 The first Juneteenth Celebration in Renton, WA will be held over a three-day period June 16 – 19. On June 18, at 7 p.m. Mayor Denis Law will do a Proclamation before the City Council and the citizens of Renton declaring June 19, 2018 as Juneteenth 2018. On June 19, from 6 – 8 p.m. there will be a Juneteenth Concert: Spoken Word & Music at Carco Theatre.